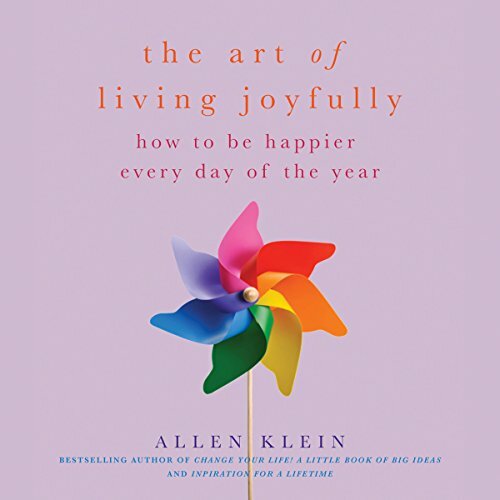 In this The Art of Living Joyfully, Jollytologist Allen Klein presents a compendium of advice and plain common sense comprising a guide to good cheer. This wonderful collection of quips, quotes, and instruction comes from a variety of people and from all eras of history. Dividing the books thematically, covering such topics as friendship, laughter, beauty, nature, faith, and more, this is a book to cherish for oneself and to give as a heartfelt gift. A strange little book. I tried this short listen because I read an article about great things happening when you introduce positive thoughts in the form of listening to motivational speakers. At first--in the early ten minutes--I thought I had made a mistake, that it was too monotonous. Just really long lists of quotes under specific headings read out followed by the author's name. But I kept listening and I found an odd thing happening. My brain zoned out on some of what was read and then would latch on to other bits. What I focus on seems to vary each time I listen. I found myself thinking about new ideas and possibilities. Interesting. The quotes do stick with you and I find myself thinking about them later the next day. I am listening to this book before bed and it does seem to be having the desired effect. The narrator sounds a little like an infomercial--but not too bad--hence the 3.5 stars for the performance. The author offers additional tips and tricks for using the ideas presented in the book. Recommended as a really simple and painless way to add positivity to your life. So far so good.